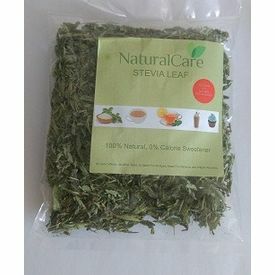 Stevia Leaves are a natural sweetener with 0 calories & no carbohydrates. These are 20-30 times sweeter than the cane sugar but has no calories. While Stevia is very popular as a natural sweetener very few people would know of its miraculous healing properties in the treatment & control of a host of common diseases. It is especially useful in the treatment & management of diabetes & hypertension. Boil 1-2 dry stevia leaves in tea or milk. Use dry stevia leaves to make a syrup for sweetening beverages, sauces or other syrups Use dry stevia leaves to make a powdered sweetener. Stevia Leaves are a natural sweetener with 0 calories & no carbohydrates. These are 20-30 times sweeter than the cane sugar but has no calories. While Stevia is very popular as a natural sweetener very few people would know of its miraculous healing properties in the treatment & control of a host of common diseases. It is especially useful in the treatment & management of diabetes & hypertension. Pack Size: 25 gmsBoil 1-2 dry stevia leaves in tea or milk.Use dry stevia leaves to make a syrup for sweetening beverages, sauces or other syrups Use dry stevia leaves to make a powdered sweetener.